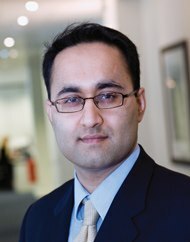 Vikram joined GMT in 2005 as Portfolio Reporting Analyst and was promoted to Associate in 2006, to Principal in 2010 and to Partner in 2014. He was formerly a manager at PricewaterhouseCoopers, having worked in both London and Zurich while focusing on due diligence and traditional audit assignments for private equity clients. Vikram has a BA in Economics and Management from Oxford University and is a qualified Chartered Accountant. He is a British citizen.